U.S. Small Business Administration’s Emerging Leaders initiative has asked Federal Allies to publicize the agency’s search for CEOs of established small businesses to enroll in a free evening program to help grow revenues and jobs. Twice monthly, 13 sessions, 40 classroom hours currently planned for 27 cities. Requirements include three years in business, two or more employees, annual revenue $400,000 to $10 million, and DBEs or lower income census track. Module 1: Business and Strategy Assessment. Module 2: Financials. Module 3: Marketing and Sales. Module 4: Resources- People, Accessing Capital and Government Contracting. Module 5: Putting it all together – Strategic Growth Plan Presentations. Contact your local district office. More information is available online at sba.gov/emergingleaders or you may e-mail SBA@FederalAllies.org. Federal Allies Institute was launched during National Small Business Week 2008, the U.S.A.’s top small business recognition program and organized by the U.S. Small Business Administration. The mutually beneficial relationship between Federal Allies and SBA has quantifiably helped small businesses. For example one project included SBA’s request for a free biotechnology grant application seminar, organized by Federal Allies that helped enable 26 research firms to each receive one or more grants of $244,000. In addition to SBA, the grant process included the U.S. Department of the Treasury, U.S. Department of Health and Human Services, and U.S. Food and Drug Administration. Several top biotechnology associations, including BIO, were recruited to serve on panels of the Federal Allies event. 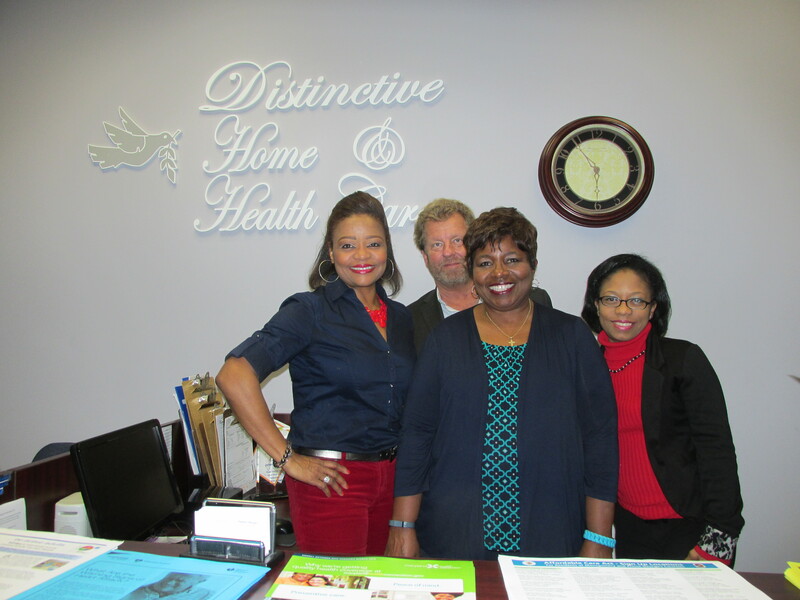 Welcome Distinctive Home & Health Care! The Distinctive Home & Health Care 1st Annual Heart Disease Awareness Networking Event held at Distinctive Home & Health Care’s Corporate Office. (L to R) Deborah Guynn, President, Jim Guynn, Vice President, Regina L. Singletary, Executive Assistant, DHA Acquisition Management & Support, and Chante Davis, Director of Operations. Guests enjoyed delicious appetizers with wine provided by Kathy Gaines. A fundraiser for research, guests received copies of USDA 10 Tips to Be Active Adults and Affordable Care Act Sign Up Locations for Residents of Montgomery and Prince George’s Counties, in Maryland. The Winter Sessions of Federal Allies Institute’s Corporate Ethics Certification are being held during February and March. A second program planned for the Spring is currently seeking enrollees. The fee for members is $1,000 and non-members $1,500. The Federal Allies Institute Scholarship Program offers a limited number of partial scholarships. The Federal Allies Institute Board of Overseers for the program seeks to expand. Recent meetings to publicize the program have been held including with U.S. Senators Mark R. Warner and Tim Kaine, both of Virginia, the home state of the Federal Allies Institute. This entry was posted on Monday, March 17th, 2014 at 5:30 pm and is filed under Federal Allies Network, Monthly Newsletter Column, Web Posts. You can follow any responses to this entry through the RSS 2.0 feed. You can leave a response, or trackback from your own site.